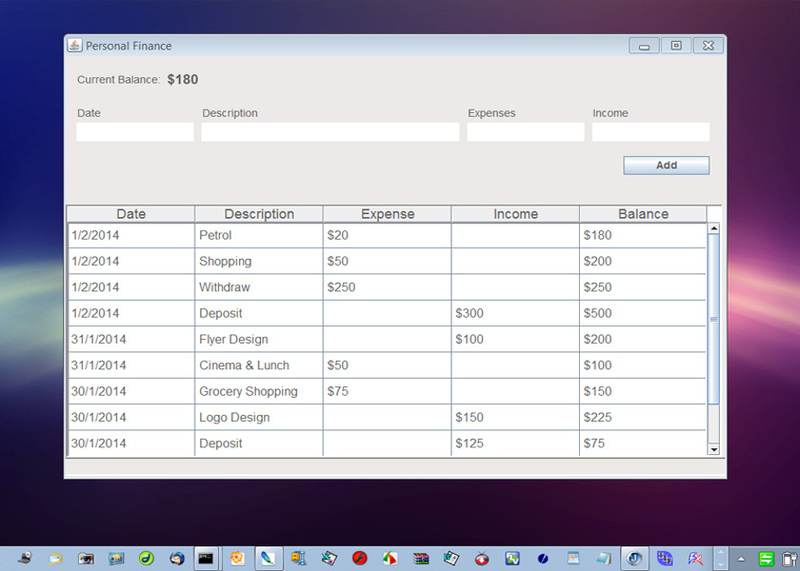 Description: Previously I developed two modules of this Application as "Jan 2014 Login and Signup" and "Feb 2014 Personal Finance" and published them on http://www.shazsoftware.com/java_library.php. Now I connected these two modules to create a password protected Application, so only the logged person can access all his/her own transaction details. 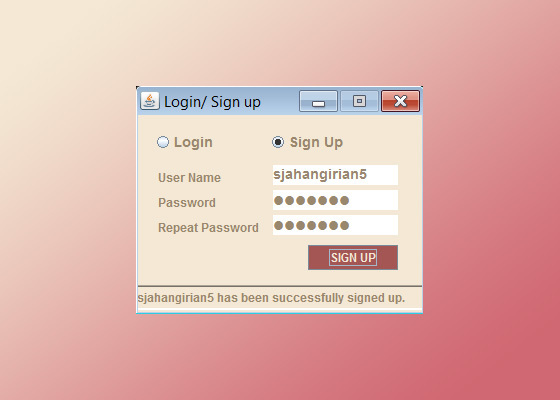 Also I modified codes to make it a Multi User Application, so now many user can signup and use this Program. Every valid registered user only can access his/her own entries not any one else. In fact this is a very good Application to be used as a Petty Cash Management Software for many Businesses and their employees for their Office Petty Cash handling payments records. Obviously this application needs more improvement to be commercialized from User Interface and probably more Functionality such as creating an Administrator User that can access everyone transactions, that I am happy to implement if a company or a business in Melbourne and its Suburbs is going to employee me to update this application to be theirs Petty Cash Manager System or to design and develop a new Database Business Application in regards to their requirements. C:\javacodes> javac FinanceMain.java "compiles the FinanceMain class"
C:\javacodes> Java FinanceMain "and finally with this statement runs this Application"